Coriander or cilantro is a wonderful source of dietary fiber, manganese, iron and magnesium as well. In addition, coriander leaves are rich in Vitamin C, Vitamin K and protein. They also contain small amounts of calcium, phosphorous, potassium, thiamin, niacin and carotene. 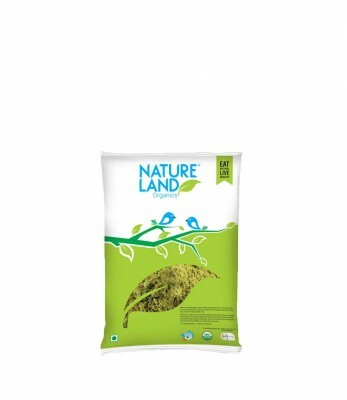 Natureland’s Organic Coriander powder is pulverized and grinded from best organic coriander seeds in whole form to impart great aroma and taste. Before packing it is cooled and checked for quality to ensure its purity and hygiene.